Liquid History is a self guided audio trail along one of the most picturesque stretches of the River Thames near Hampton Court. The trail contains original interviews with people who have lived and worked along the river in Elmbridge, and is narrated by historian and local houseboat resident Dr Toby Butler. 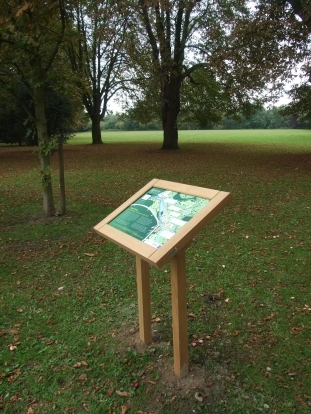 The trail is just over a mile long and starts at the trail information board on Cigarette Island (next to Hampton Court railway station) and ends at Hurst Park. You can explore online using the satellite map - just click on the information points marked below. The audio files for the trail are available from the download page for use with an mp3 player and professionally produced walk CDs are now available (£3); call 01372 474568 to order. This trail has been produced with Elmbridge Borough Council's Leisure and Cultural Services.